FRP wall panels are a great product for the DIY community. The panels are strong, long-lasting, grime and vandalism resistant. Excellent for applications such as bathrooms, garages, “mud rooms”, or areas animals are kept. 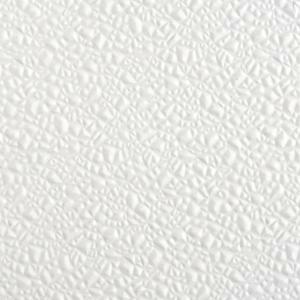 FRP wall panels have a relatively economical cost compared to industrial FRP panels, are widely available, and easy to install. As with any project, preparation is key to saving money and prevent disappointment with the final result. To start the first thing you want to do is draw a quick sketch of the area to be covered. Mark each wall with how many feet it is in length. FRP wall panels come in 4′ x 8′ and 4′ x 10′ panels and the next thing you need to do is figure out how you will orientate the panels. Start at the floor – will they be arranged to provide more height by being set side-to-side by their width? or by their length to provide 4′ high coverage? In many applications, the panels can be placed on their side to cover more area and reduce costs. You should now be able to figure out how many panels you need. Next, figure out how much FRP adhesive you need. The adhesive comes in 4 gallon buckets and covers 200 square feet. simply add up the total area of the panels you need and divide by 200. For example, if your project requires 12 4′ x 10′ panels that is 480 square feet / 200 = 2.4 or 3 buckets of adhesive will be needed. It’s always good to have some extra so never round down! Following this step you need to figure out how many inside corners/outside corners/j-trims you need. Inside corners and outside corners are PVC plastic dividers for FRP wall panel that are purchased alongside the panels. This is pretty simple as you just count how many corners you have. The trims and corners all come in 10′ lengths. The j-trims require a bit more thought. These are also PVC but are used to join two panels where there are no corners. You need to be able to sketch or visualize where your panels will buttress up against each other along the stretches of wall and be able to count up what you need. And that’s pretty much it! At this point you should have a clear idea of the scope of your project and all the requirements for your FRP panels and how many accessories you need. The next step is to simply contact your plastics distributor and request a quotation. Please give clear and specific requests including relevant quantities for all required components. That will ensure a quick and accurate quotation. 1.) Do you have the right amount of dividers (j-trims) and inside/outside corners? This should be common sense but when you buy the panels you need to get the plastic dividers too! J-trims divide the panels that are side-by-side, while the inside and outsider corners link at, you guessed it, the corners. Knowing the room(s) you’re working on and the size of the panels will help you determine what you need. 2.) Do you have the right amount of adhesive? What we mean here is the special FRP glue. If you’re fixing the panels another way than obviously you don’t need to think about this but most people do use the adhesive and each bucket (4 gallons) covers 200 square feet. We usually recommend you buy a little extra to ensure you can spread the adhesive liberally. It just takes a minute or so of simple math. 3.) Is the surface clean? 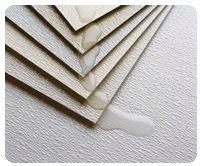 Just because FRP wall panels have a special adhesive does not mean it’s so strong that you just slather it on any surface and slap the panels on. Even though the panels can be affixed to a wide variety of surfaces (including concrete!) The surface still needs to be clean. This means “clean, clean” so deburr it or sand it flat than wash the surface clean and let it fully dry before attaching the panels. Failure to do this could mean the panels do adhere properly or even detach. You would think it makes common sense but people don’t always do it. Asking yourself those three simple questions will go a long way in ensuring your project is a complete success! Fiberglass reinforced plastic (FRP) Mini-Mesh is a completely underused product for the DIY community. The product is a grey fiberglass mesh with small (3/4″ x 3/4″) openings and comes in standard sheet sizes of 4′ x 12′ and 4′ x 10′. The Mini-Mesh replaces metal and wood in flooring applications and offers significant advantages over both materials. FRP Mini-Mesh will not rust, will not corrode, will not suffer termite attack, will not absorb water, and can withstand UV exposure from the sun. It is virtually maintenance free requiring only cleaning as you deem necessary. The small size of the openings in the grating is designed to prevent objects such as keys from falling through below. This makes the product excel as a deck or a dock. FRP Mini-Mesh is lightweight and easy to install – the easiest way is to build a frame out of metal angle and anchor the FRP sheet in. Specialized hardware called “M-clips” are available for a few dollars apiece to anchor the Mini-Mesh into the frame but if the frame is measured properly this anchorage is often not needed. 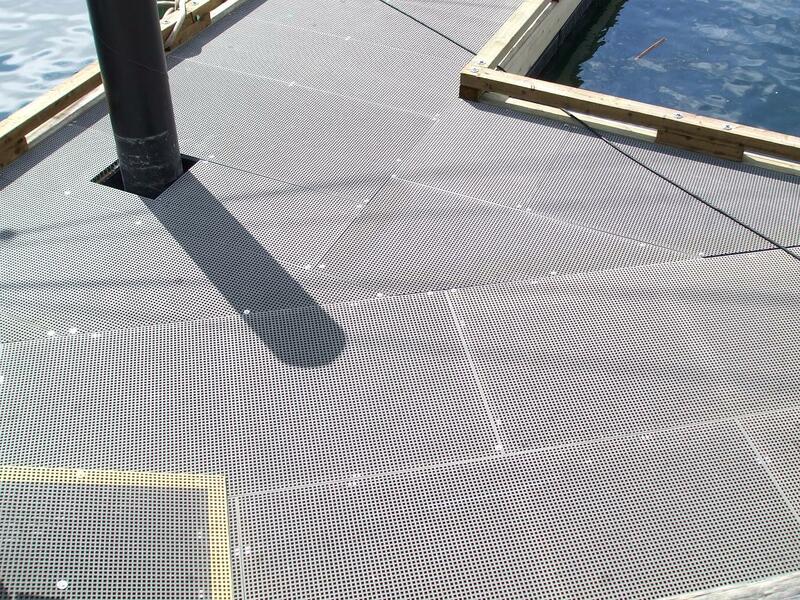 The Mini-Mesh will supply a long-lasting, weather resistant, near-zero maintenance deck or dock. The design parameter you most need to be concerned with is span. FRP is very strong; however, it is also more flexible than metal or wood. This means that as the span gets wider the FRP will store energy when you walk on it (flex down) and then push back up. On large spans, this effect can destabilize the individual leading potentially to a fall. Spans between 1.5′-3′ are high recommended and load tables can be supplied. The only potential drawback to the product is the cost involved compared to metal or wood. The FRP grating will be significantly more expensive than metal or wood alternatives (several hundred dollars per sheet before freight costs) so not everyone will have the budget. However, you “get what you pay for” and the advantages of FRP over competing materials is well worth the price premium. For questions or pricing on FRP Mini-Mesh contact us today. FRP (fiberglass reinforced plastic) wall panels have a distinguished history of use in restaurants, convenience stores, public pools, schools, anywhere low-cost and easy-to-maintain wall protection is needed. The most popular of these panels is probably the white, embossed kind. It has a “pebbly” texture that makes it difficult for grime to stick on and makes the panels easy to clean. While commonly encountered in businesses, these wall panels have many potential applications for the “diy” home renovator. For example, kids with crayons are a nightmare for many parents as the walls present a canvass ready for art – at least in the child’s mind! Do you have a dedicated playroom? FRP wall panels installed at floor level provide a surface so easy to clean you may encourage your kids to write on the walls! Well, maybe that’s a stretch but the investment in the wall panels will give you some peace of mind, make cleaning easy, and might even lower your blood pressure a bit. Other potential uses in the home include: bathrooms, workshops, en suite kitchens, basements, carports and likely more. Think of the panels as a “simple armor” protecting your walls in high-risk areas from avoidable damage or disfigurement. The panels are easy to install via a special adhesive or nylon rivets to any flat surface. They are water-proof and impervious to cleaning chemicals. The embossed panels are commonly available in either 4′ x 8′ or 4′ x 10′ sheets both with a thickness of .090″. Stop and think for a second. Imagine you are considering a project that will use FRP panelling. Now think about what is important to your installation – what comes first to mind? Did any of those above come as a surprise? If so you may find this FRP installation guide useful. Remember, do your research before you start any project!